My first artichoke was a present from France by my older au pair sister so many years back and I have fond memories of one large artichoke sitting in the middle of the kitchen table as we, seven siblings, mercilessly tore back the tough petals one by one, dipping their tender nugget of delicate flesh in melted Kerrygold butter and scraping the astringent, sweet flesh with our teeth. before arriving at the pale-green heart that was divided into slices like a birthday cake without candles. 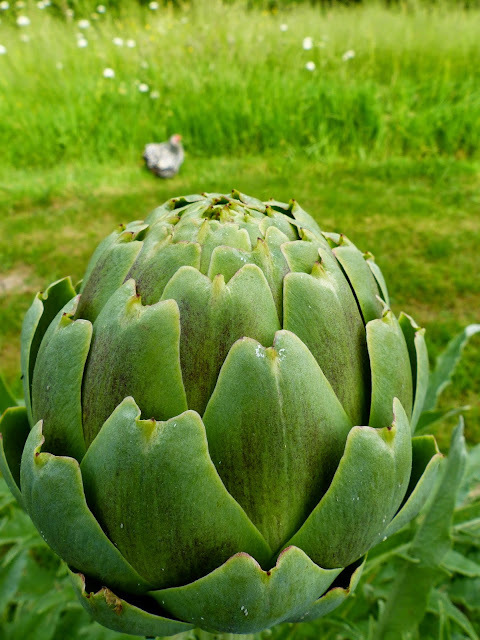 I was always a picky eater but my first artichoke was the start of many artichokes and today I couldn`t imagine my garden without such a literal star. 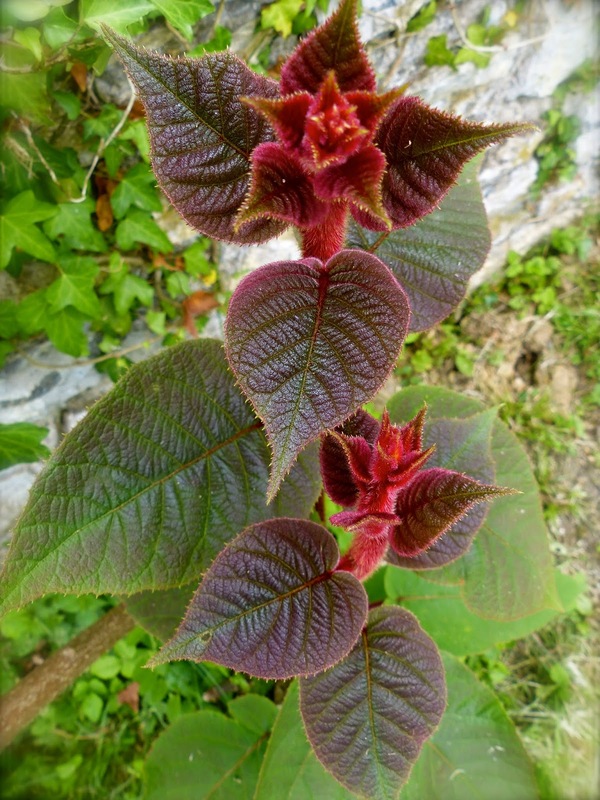 First of all you have the luxuriant, greyish-green foliage out of which appear the meaty stalks that support a plethora of deliciously immature flowers or chokes which then expand into mightier, fleshy chokes. When you don`t get around to eating them, they open into great, fragrant thistle heads of bluish-purple which every bee and bumblebee will adore. Artichokes are always seen as an expensive gourmet food whether in the city or the countryside so years back, annoyed by the ridiculous price of individual plants, I bought a packet each of Violetta di Chioggio and Gros de Laon for 2.50 euros and everyone of these magical seeds germinated into a plant that is happy producing in Mailhos today after their initial assault of slugs and snails. They live for many generations producing up to ten chokes per plant in late Spring and depending on the mildness of autumn, another five or six. When they start to age, you can just detach the babies, root or no root, that grow from their base and start again. Its all very painless. The Gros de Laon has to be my favourite with its plump heart and nutty flavour but unfortunately it is also the favourite of earwigs. I have to spend a good half and hour just shaking them out so these champions of the garden don`t get scalded to death. Pull off the tough outer leaves of the artichokes and cut off the tough tips. Trim down to the pale green heart. Cut in half and remove any choke. Rub with olive oil and put to one side. Heat a little olive oil in a heavy pan and soften the the spring onions for around 10 minutes. Add the artichoke halves and fry until lightly coloured. Add the broad beans, peas, garlic and thyme and stir until everything is coated in the oil. Add the wine and cover the pan. Cook for 20 minutes over a low heat or until all the vegetables are tender. Stir in the mint and tarragon. Season with salt and pepper and pour over 4 tbl of your best olive oil. Serve at room temperature. The Fritedda recipe sounds like the perfect summer side dish -- will definitely try it when I get back to Northern California. Thank you for a lovely post!